The Sae Taw Win II Dhamma Center was established by Dr. Thynn Thynn in 1997. The Center is located in a quiet country setting in the tiny town of Graton, in Northern California. We are just a few miles north of Sebastopol, 12 miles west of Santa Rosa, and 55 miles from San Francisco,s Golden Gate Bridge. To assist those traveling to the Center, please go to our contact page for maps , phone numbers and our street address. 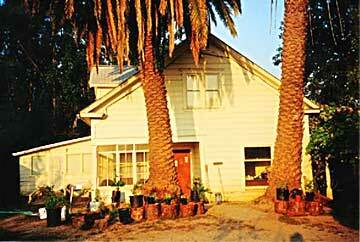 The vision for the Center is to be a residential Theravada Buddhist yogi and lay residential community. The yogi tradition is patterned on the Burmese yogis who devote themselves to practice, study and service to the community. 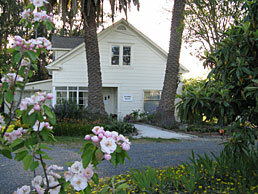 The Center will serve as a teaching/training institute in Theravada Buddhism and practice. It will provide the physical nucleus of a community in which the Dhamma is a living practice and a way of life. Dr. Thynn’s vision is to create a safe and caring place for the old, the very young and the infirm, similar to the Buddhist communities of Asia. The community will be an active, nurturing, dynamic group. One “not isolated” but living in harmony with society, interacting with our neighbors through service and outreach programs. The Center offers a variety of accommodations for long- and short-term residents. Please go to the Dhamma House and Rooms for Residents and Visitors link for more information regarding shared housing. The Dhamma House is the main building which houses the shrine room graced by a beautiful bronze Buddha, along with a library/sitting room, an office, kitchen, six bedrooms and three baths. ……The Center has accommodations for students and practioners of Buddhism who would like to do long- and short-term study and practice in Buddhdism and Insight Meditation. By living at the Center the student will have a rare opportunity of studying with Dr Thynn Thynn who is one of the few dhamma teachers who gives hands on training in mindfulness in daily life. ……The Center is created with a purpose to develop as a spiritual sanctuary for those who wish to live and practice according to the teachings of the Buddha as a way of life. ……There are broad guidelines in terms of Dhamma codes that the residents follow (Five Precepts and the Noble Eightfold Path). Dr. Thynn Thynn envisions the residential community to be a living, dynamic organism, evolving in its own way according to common aspirations and the innermost feelings of its members. Residents have the freedom to earn their own living, have a personal life, yet be part of the community. They may attend regular classes, and contribute their services to the Center. We are proud that this is the first residential community in the Theravada Tradition in the USA.